Courtesy the artists and Hauser & Wirth. The latest offering from Hauser & Wirth sees the contemporary art powerhouse heading for the sticks, adding a slice of English countryside charm to a roster of galleries in London, New York, Los Angeles and Zürich, London, New York, and Los Angeles. 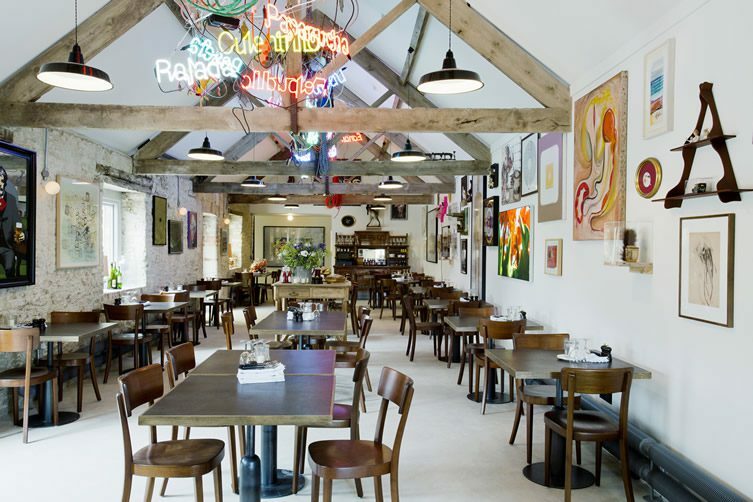 Situated on Dursdale Farm – near the town of Bruton – the working farm breeds and rears livestock that is served at the art space’s restaurant, the Roth Bar & Grill, all year round. 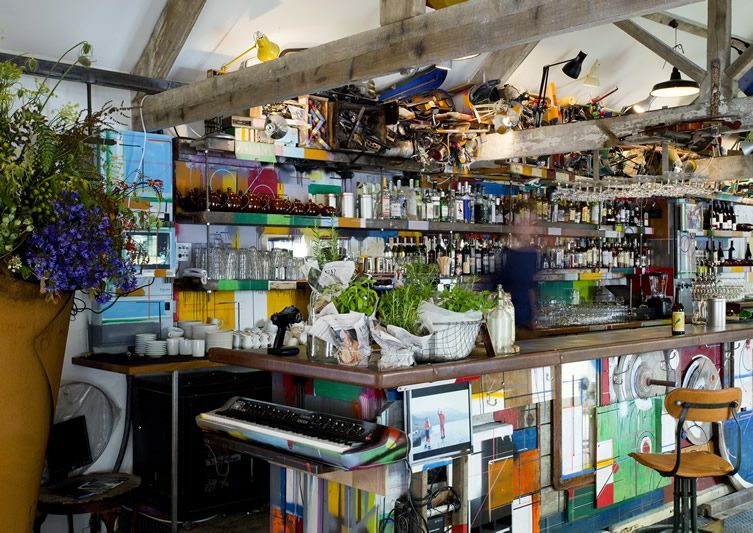 Designed by the Hauser & Wirth Somerset project architect Luis Laplace of Laplace & Co., Roth Bar & Grill boasts a dedicated bar created by Björn and Oddur Roth, son and grandson of the late great Dieter Roth. Comprising of found, reclaimed and salvaged miscellanea, it pays homage to the artist’s work and passions. 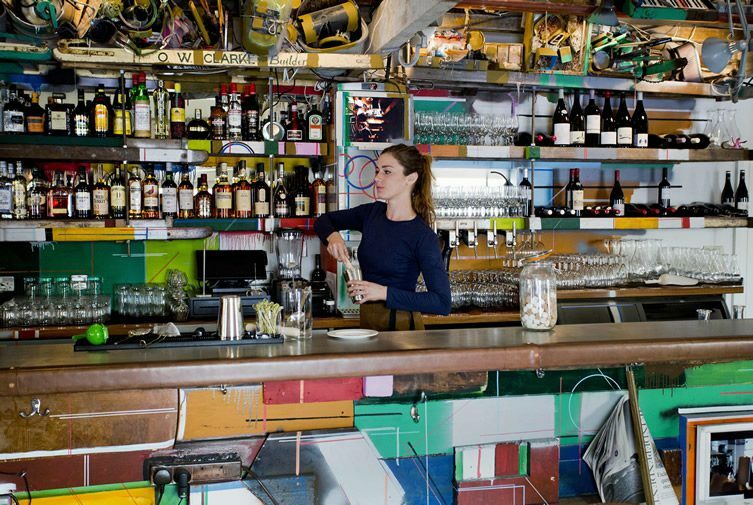 Chaotic and disorderly, it has an energy that every good bar should have. 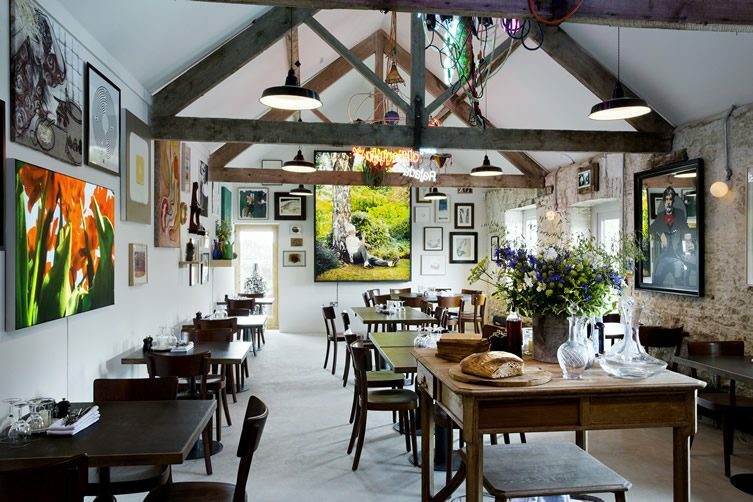 Local restaurateur Catherine Butler, of award-winning At The Chapel, looks after the restaurant itself – its large open service area and grill is a real treat, and you’re welcome to watch chefs preparing, carving and serving. A Robata grill is integral to the kitchen, whilst local farm eggs, vegetables, hanging hams and garlic braids form that satisfying farmhouse aesthetic. Henry Moore’s lobster claw drawings and neon chandeliers by Jason Rhoades are just some of the haphazard artworks that engulf the busy space. Saskia Marjoram’s flower arrangements and stripped back oak beams pare back the saturation of contemporary art, reminding us of our environs. 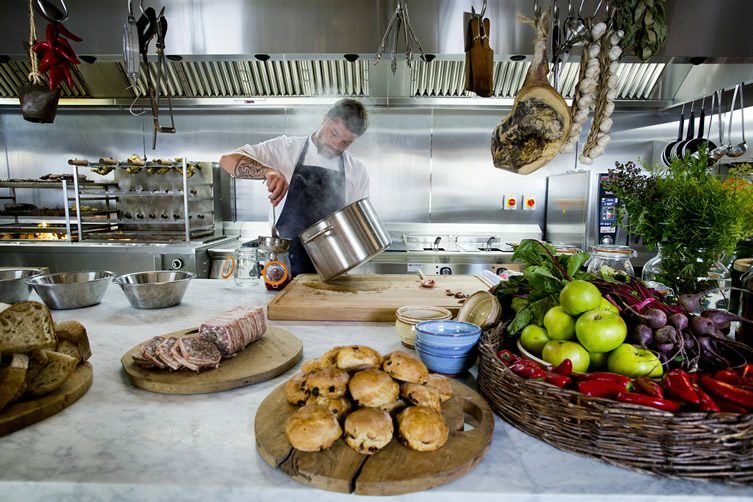 Chef Steve Horrell and his team have a lot of local British produce to work with, expect an honest field-to-plate experience. We sample signature juices teeming with fresh goodness, and Dieter Roth’s favourite Reyka Vodka. The pork, pigeon and pistachio terrine with toasted sourdough was rich and deeply flavoursome, a local Laverstoke Park mozzarella, crème fraîche and beetroot salad sang to our senses – spit-roasted chicken from Woolley Park, basted with lemon was superb. 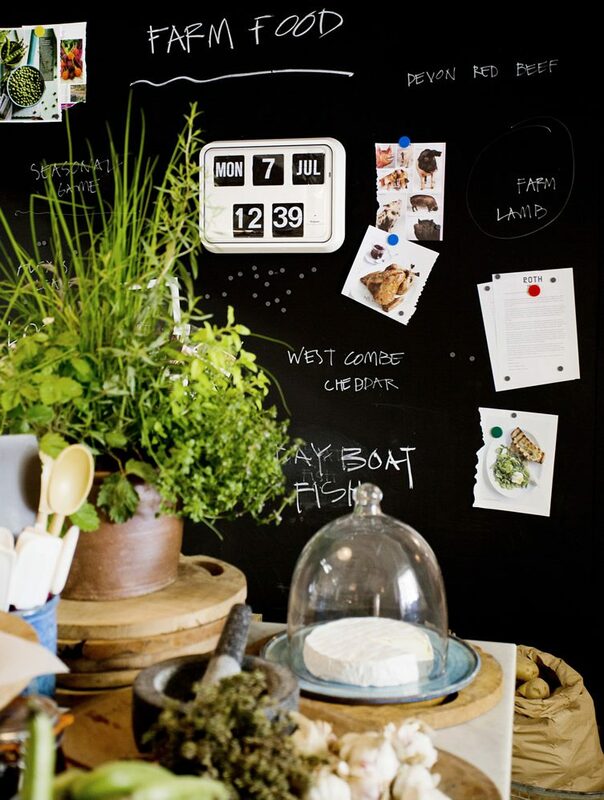 It seems a little trite to read from the contemporary dining checklist, but: honest, locally and responsibly-sourced, ethical, seasonal… virtually all produce comes from a five-mile radius. Butler and her team are running a tight ship. The gallery itself is compact, and (until 2 November) is full of large-scale works by Phyllida Barlow. Her exhibition, Gig, occupies the 18th-century Threshing Barn snugly and celebrates the space’s renovation. There are soon-to-open landscaped gardens by Piet Oudolf, one of the planet’s most acclaimed landscape designers, whilst the Grade 2-listed farmhouse itself also offers exclusive stays and artist residencies. 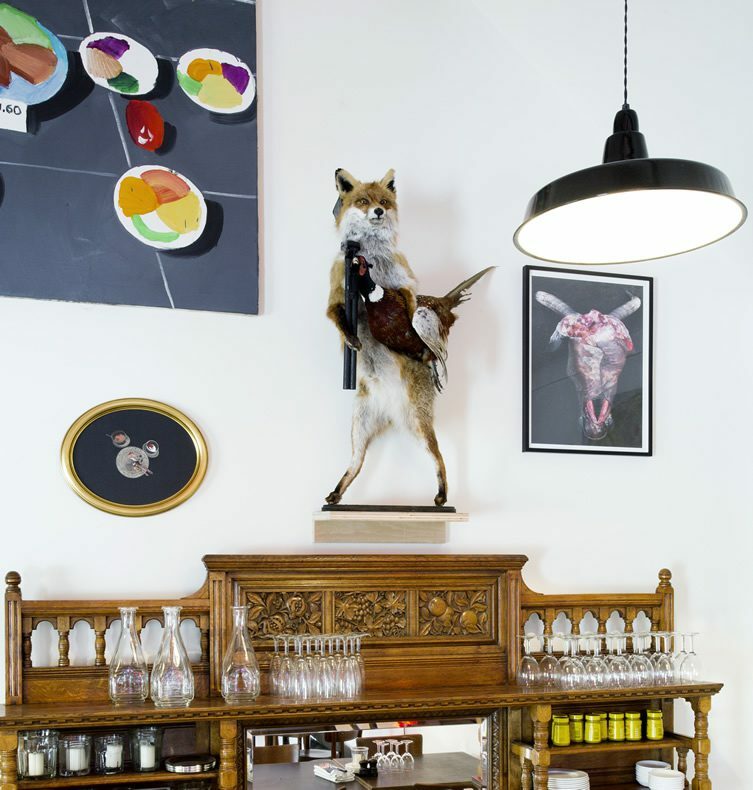 The coming together of art and food at Roth Bar & Grill and Houser & Wirth Somerset plays out as a meeting of minds, contrary to the oft obligatory ‘gallery café’ – there’s a real sense of unity, from the interiors through its art and from the kitchen itself. 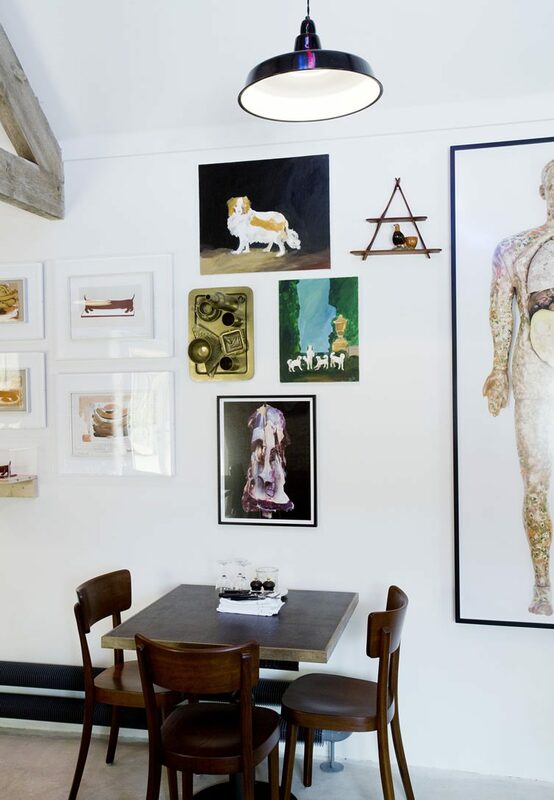 Observing its namesake – one of the first artists to work with food, and somewhat of a connoisseur himself – airs and graces are kept in check, and the eclectic community of Bruton truly embraced. A real work of art.